The HALO Sleep Sack wearable blanket replaces loose blankets in the crib that can cover your baby s face and interfere with breathing. 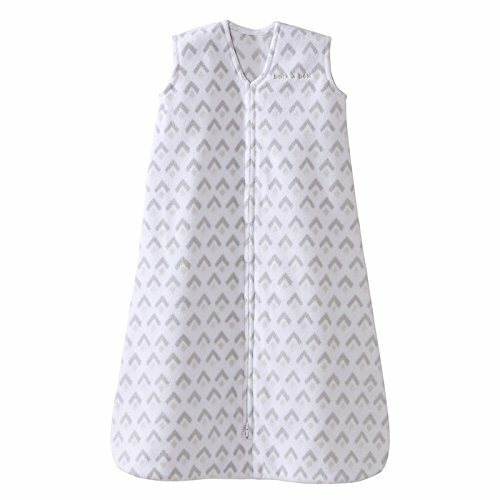 In addition to helping your baby sleep safer, the HALO Sleep Sack wearable blanket helps your baby sleep better, too. It is a warm cuddly blanket they cannot kick off; ensuring baby sleeps soundly throughout the night. Used in hospitals nationwide, the HALO Sleep Sack wearable blanket is the #1 choice of hospitals and is recognized as "Hip Healthy" by the International Hip Dysplasia Institute. HALO also proudly supports non-profit organizations like First Candle/SIDS Alliance. Use over regular sleepwear to take the place of loose blankets. 100% polyester micro-fleece. TOG: 1.0. Size extra large fits 26-36 lbs. Durable Product. Unzips from the bottom for easy diaper changes. Generous sack design allows room for kicking, but cannot be kicked off so baby stays warm all night. Sleeveless design reduces the risk of overheating. Recognized as "Hip Healthy" by the International Hip Dysplasia Institute.